'Diana Wynne Jones'. Name sounds quite a mouthful, eh? In spite of considering myself a connoisseur of science fiction and fantasy for both children and adults, I had not heard of her for quite some time. So when I picked up the book ‘Charmed Life’ from the local British Council Library, it was to be just another dose of any children’s fiction that I need from time to time to maintain my sanity in this insane adult world. I was so pleasantly surprised by the caliber of storytelling that I had to read the rest of her Chrestomanci series. Looking her up on Wiki, I came to know that this had not been my first introduction to her. One of my favorite anime movies ‘Howl’s moving Castle’ had been based on a book by her. Most of the fantasy writers try to create a world either based on Tolkien’s works or on one of the ancient mythologies – usually Celtic or Norse, sometimes Greek or Egyptian as well. The other option is to borrow from dungeons and dragons. A third option is to bring some fantasy concept into the modern world. The Chrestomanci series appears to be of the third kind. However one must credit her for the originality and novelty of the fantasy concept she has introduced in her works. Her concept in some ways straddles the worlds of science fiction and fantasy. The science fiction concept she uses is that of parallel dimensions. The fantasy concept she uses is the superstition that a cat has nine lives and of course the regular witchcraft and wizardry. Her world has nine alternate realities running parallel to each other, each of which has different rules of 'science and magic' and the histories have taken different paths. Some authors have gone deep into this concept of travelling sideways into time into alternate realities. If one wants to explore this concept more, I would recommend 'Time lines' by Michael Crichton and 'End of Eternity' by Isaac Asimov. However Diana Wynne Jones only uses this concept more as a backdrop for her story. In the world of Chrestomanci, every person would have counterparts in the nine different worlds, each leading a different kind of life. But the Chrestomanci alone would exist just in one world with no counterparts in other worlds, conferring upon him advanced magical powers, nine lives and an ability to travel from one reality into another. The Chrestomanci are supposed to be some kind of a magic police controlling the use of magic and travel across alternate realities. Usually it is a position occupied by only one person at a time. He usually has to identify and train his successor. Two of the books ‘Charmed Life’ and ‘The Lives of Christopher Chant’ are coming to age stories. The stories closely follow the lives of two different Chrestomanci, their voyages of self discovery and how they come to terms with their strengths and weaknesses. But all her books do not have the Chrestomanci as the protagonists. Of course the Chrestomaci make their appearance and play pivotal roles in all the books. But the stories are told from the point of view of other characters. This has an advantage and a disadvantage. The advantage is that instead of always seeing the world from the eyes of Chrestomanci always, one gets to see the Chretomanci and the rest of their universe from different perspectives. But the disadvantage is that readers usually like to associate closely with one character and get into his or her shoes. Here one is not able to do that. This kind of takes away the continuity from the series making them more like stand alone books set in the same world connected only by the chronology of events. So there is no intensity and eager wait for the next book in the series that characterized the Harry Potter series. Maybe that was one of the reasons for this series' non stellar performance. In terms of story structure, there isn’t too much travel and adventure. Nor do any of the individual books taken on a biographical or mythological tone, spanning large expanses of times. The books confine themselves to a limited period of time of say less than a year. The books can be categorized as drama, focusing on interplay of different characters. Characterization is clearly her strength. She manages to create really complex characters that seem life like. Unlike most children’s’ authors, she does not shy away from exploring the dark side of people’s characters. Her works ruthlessly pierce through children’s facade of a beautiful world . Death freely occurs and one can see pure evil characters even among children and the protagonist’s own near and dear. However it is not too difficult to segregate her characters into black and white buckets. We don’t see any really grey characters that can be good or bad based on situation and the perspective they are seen from. But I guess that is too much to expect in children’s fantasy. One does not get an 'out of the world' experience that one gets in a Harry Potter or Lord of the Rings here. A few more layers would have added greater depth to her world. In spite of conceiving of a wonderful concept, one is left with the feeling that the story could have done with more details on the 'Chrestomanci' universe. That coupled with a bit more intensity to the overall series story line might have helped her pip J K Rowling past the post. But one can never say. The success of a work also depends on whether it’s time has come.It is difficult to say how even Harry Potter would have fared if it had come out 20 years earlier. Coming back to this series, I would definitely recommend the Chrestomanci series to all children and lovers of science fiction and fantasy. It is a light read guaranteed to offer several fun filled hours. The book I had lent you was by the author but not of this series. 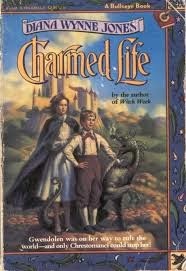 I think I remember seeing one book of this series in your shelves though. So you don't have to look much further than your own home for the same. Your review makes me want to read the book. I hadn't heard of the writer before today. My reading list swells. It is definitely worth a try and it is a very light read. Reading this would be a quick breeze. That is an enlightening overview of the Chrestomanci series. Jones seems to be a gifted writer. You have deftly focussed on the strengths and weaknesses of her works, comparing them to better known authors and the respective worlds created by them. Thanks Umashankar. She is definitely an author with talent who was able to stand apart from the crowd.